Bulgarian company REnergY has announced plans to construct 15-20 charging stations for electric vehicles in the capital Sofia. 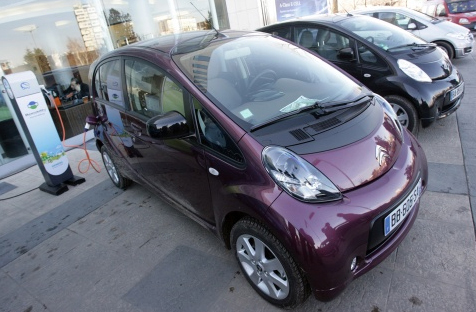 REnergY's pilot project entitled "Electromobility" was presented at the two-day high-level conference in Sofia dedicated to the development, introduction, and use of electric cars called "Electric Cars – Challenges for New Mobility." The company presented a prototype of an electric charging point that it has developed. REnergY will built the electric charging points at key locations in Sofia, and will provide free charging for electric vehicles for the first year assuming the costs for electricity as a measure to promote the electric vehicles. The company points out that even after the customers start paying for charing their electric cars their transportation costs will be substantially lower than the money they spend for gas for "traditional" vehicles. In the second phase of its pilot project, REnergY plans to expand its scope by taking the EV charging stations to the larger Bulgarian cities – Plovdiv, Varna, and Burgas, as well as to Bulgaria's top resorts along the Black Sea coast. The goals of REnergY's project are to promote electric vehicles and sustainable mobility in Sofia and then all across Bulgaria. One of the global leaders on electric vehicles - "Siemens" - is a partner of the project, which has received a grant from the European Bank for Reconstruction and Development. The project will allow to analyze the respective legislation, interested factors, institutions, administrative procedures, and challenges to the financial and technological development of a network of EV charging points in an urban environment.